AT THE APOLLO THEATER NOVEMBER 19TH!!! 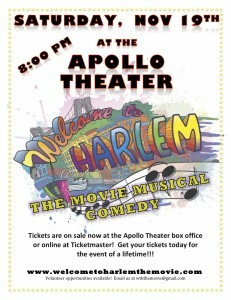 Welcome to Harlem is coming to the Apollo Theater on November 19th, 2011 at 8:00 PM. 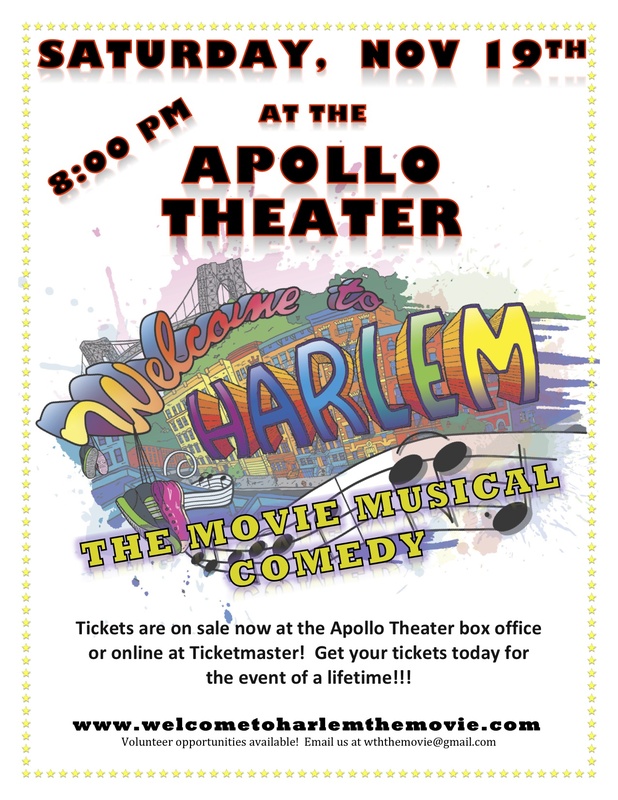 Tickets are on sale now at the Apollo box office and on ticketmaster! Seating is general admission by section — $20 upper mezzanine, $30 lower mezzanine, $45 orchestra. Questions? Want to bring a group? Contact us! This entry was posted on Monday, October 17th, 2011 at 11:40 am	and is filed under Uncategorized. You can follow any responses to this entry through the RSS 2.0 feed. You can leave a response, or trackback from your own site.